In his role as Community Lead, Damien directs internal initiatives that strengthen Mediacurrent’s commitment to open-source principles, collaboration, and sharing knowledge to strengthen the Drupal community. Regularly ranked as one of the ten most active contributors on drupal.org, Damien has been a significant member of the Drupal community since 2007. In addition to writing documentation, writing & reviewing patches and mentoring others, Damien maintains Metatag, Views, Twitter, Panelizer and several other SEO-focused modules. Prior to Mediacurrent, Damien spent five years building content management systems and frameworks using multiple languages (PHP, ColdFusion, Ruby), before he was first introduced to Drupal in 2007. A year later, he delved deeper into Drupal 5's architecture while migrating two popular skiing sites off a proprietary system. 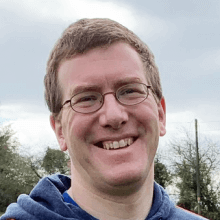 While becoming increasingly involved in his local Drupal community, Damien led the development of several successful content-rich platforms including a US radio station network spanning ten individual sites. Damien joined Mediacurrent in 2012 as a Lead Drupal Architect, where he was involved with planning the architecture of new sites, project estimates, and lots of hands-on development work. When not working with Drupal, Damien enjoys playing ukulele and spending time with family in their home in Central Florida. Regularly ranked as one of the ten most active contributors on drupal.org. Modules: Metatag, Date, Views, Panelizer, Nodewords, Panels Everywhere, References Manager, Content Profile Converter, Field Redirection, Code per Node, Phonetic, GoogleNews, Panels Content Cache, Panels Hash Cache, Entity Cache Flusher, RoundVoting, AdvertServe Ads, Raw Pages. DrupalCamp Florida 2009, DrupalCamp Atlanta 2009, DrupalCamp FL 2010, DrupalCamp Wisconsin 2010, DrupalCamp NH 2011, DrupalCamp Atlanta 2012, DrupalCamp NH 2013, NERDSummit 2014, DrupalCon LA 2015, NERDSummit 2015, DrupalCamp Atlanta 2017, DrupalCamp FL 2018.